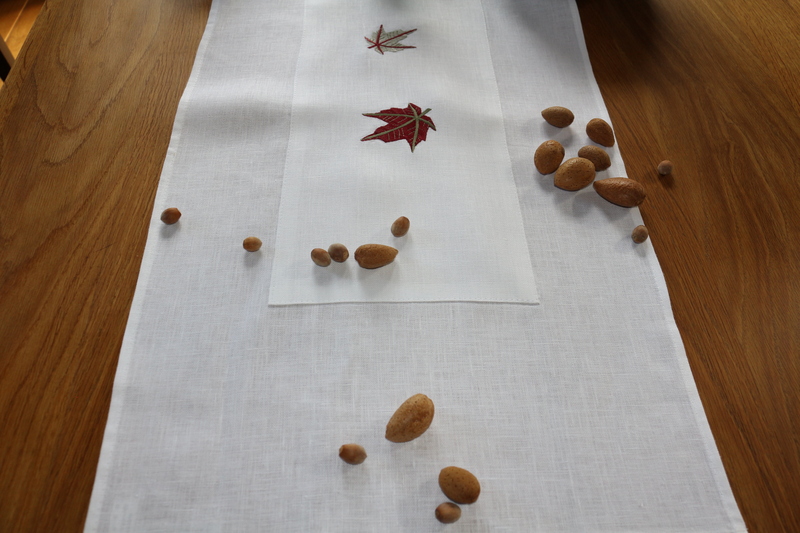 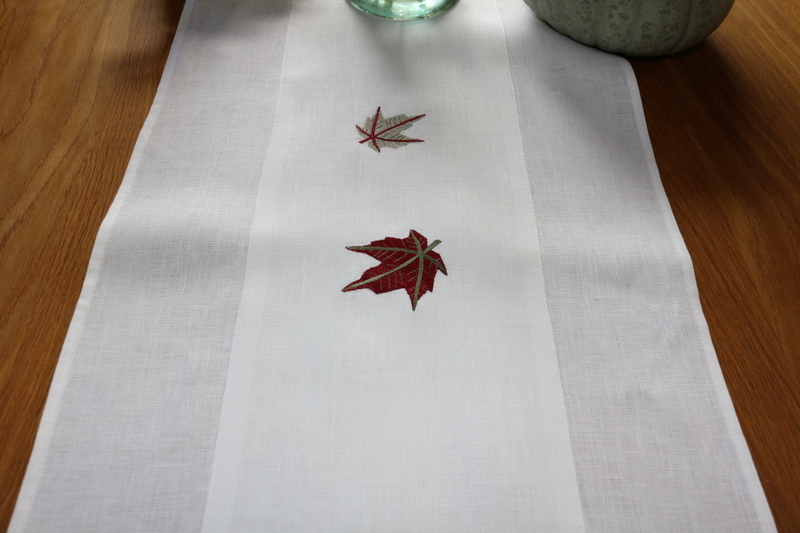 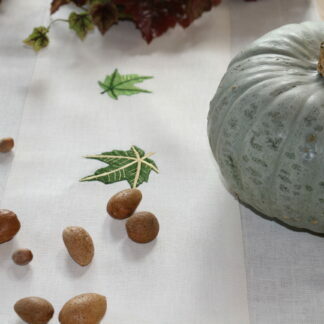 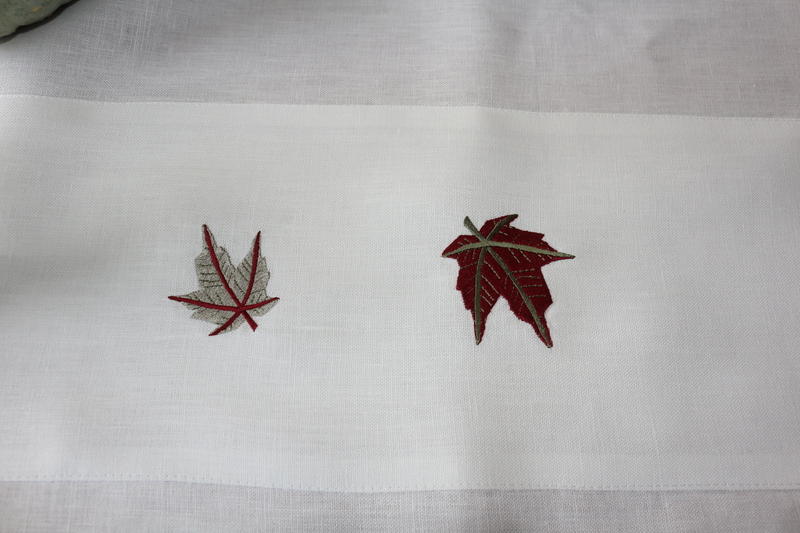 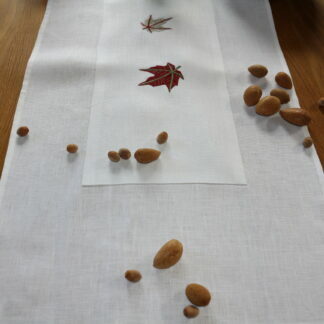 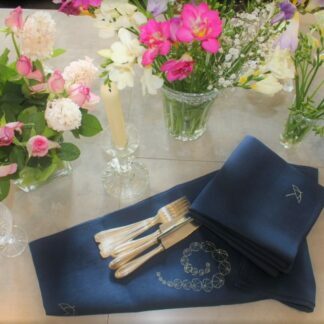 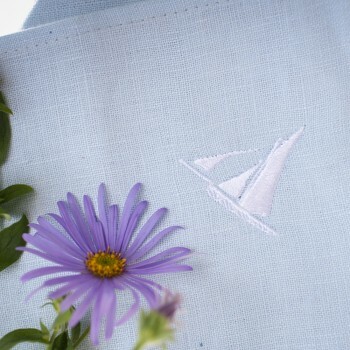 100% White Irish linen embroidered with maple leaves in complementary colours and appliquéd onto a pure white Irish linen runner. 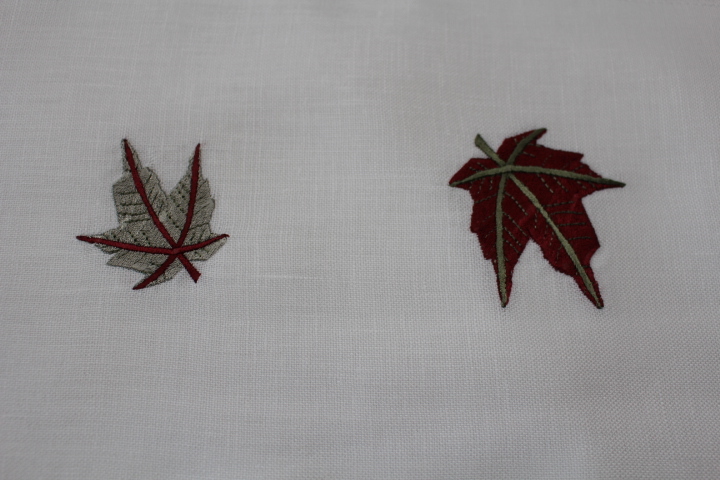 Maple trees are among some of the most beautiful in the world and I have always loved them. 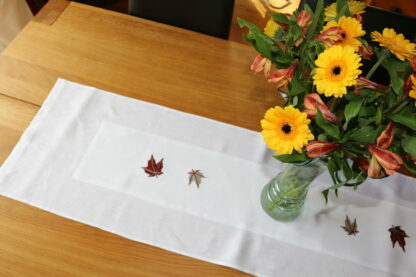 They are valued for their delicate and colourful foliage which often gives a gorgeous display in Autumn. Their leaves change through the seasons to many colours from green to yellow to white, to russet and burgundy as I have here. The colours work so well and the burgundy is rich and luxurious. 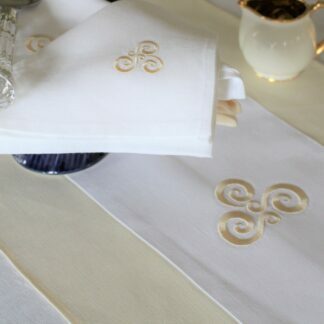 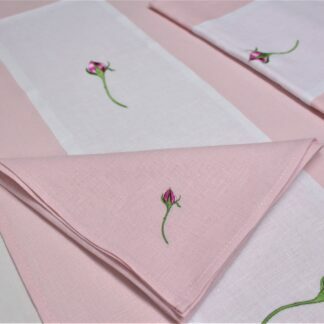 Material; 100% White Irish linen. 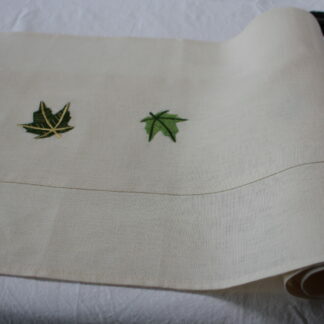 Message me for larger sizes.